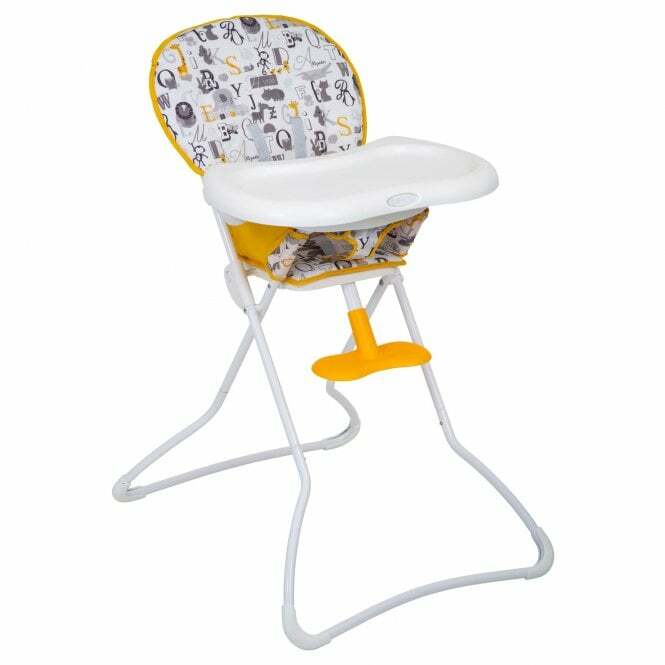 Graco Snack N Stow High Chair is for you if your baby is 6 months old or more and you're looking for a lightweight, easy to clean and store high chair. It's very good value for money, practical and comfy. Designed for use from 6 months to around 3 years. An excellent gift idea for grandparents or favourite aunties! Why Should I Buy Graco Stack N Stow High Chair? Graco Snack N Stow High Chair is all you need in a useful, lightweight and compact folding high chair. You can use it from when your baby is 6 months to approx. 3 years. There's no need to worry about whether your baby will want to sit in it - of course they will. It has a lovely padded seat with a 5-point safety harness to keep your baby where they should be. The moulded tray also gives your little diner plenty of space. Therefore, there's room for banging spoons and upturning bowls! You can also adjust the tray in 3 different positions. Plus, you can move the cute footrest to make sure it feets the bill! You can rest assured that you can keep the Graco Snack N Stow High Chair clean thanks to its wipeable materials and clean, simple design. As it weighs only 5.4kg, Graco Snack N Grow is easy to carry from room to room or house to house. Plus, this clever little high chair actually stands alone once it's folded and it's only 15cm wide. This means you can slot it into lots of slim spaces out of the way and it wont be the elephant in the room. Do I Get A Warranty With Graco Snack N Stow High Chair? What Are The Specifications of Graco Snack N Stow High Chair? 1 x Graco Snack N Stow High Chair with tray.